Garden in the Woods is where my mother gets all of her inspiration for working in her backyard. She loves their mission of planting native plants so that they can in turn nurture the wildlife around them. They offer many well-known programs to teach about the importance of pollinators, wetlands and other ecosystems. One thing you may not know is that this family friendly botanical garden is a great place to take your kids. My daughter and I loved meandering down the path to the pond to look for frogs and turtles. It is a beautiful woodland setting and it’s hard to believe you are just outside a major city. There is a trail lined with lush ferns that make you feel like you are in hobbit land. After crossing a beautiful meadow, we came to the Family Activity Area which was like a natural woodland playground. My daughter loved building forts, crawling through the tunnel and running through the labyrinth. It’s a great place for kids to get their hands dirty and use their imagination to create something out of nature. We ended up in the gift store, which is filled with eco-friendly gifts and high quality tools. Since I am just getting started with my garden, I have been looking at what tools to invest in. They have a very knowledgeable staff that was able to show me what I needed. I left totally inspired and excited to go home and work on my garden. I also plan to take some of their online courses that look really interesting. I was not born with a green thumb and can’t seem to tell the difference between a weed and a flower so I am happy for their courses to help guide me along. On the weekends, they offer story time and musical play geared towards children ages 3-6. Be sure to pick up a scavenger hunt card in the gift shop to help your kids explore and keep on the look out for stegosaurus rock! You can even order a boxed lunch to make a picnic day one step easier. The garden is only open until mid-October and then it closes for the season, re-opening again in mid-April. It is a perfect time to visit to view the goldenrod and the New England aster blooming in the new meadow garden that features plants that colonize the region’s old farm fields. Garden in the Woods is a very unique, immersive botanical garden that you shouldn’t think twice about bringing your child to. It will teach your children about animal habitats and help instill a sense of respect for the environment in them at a young age. 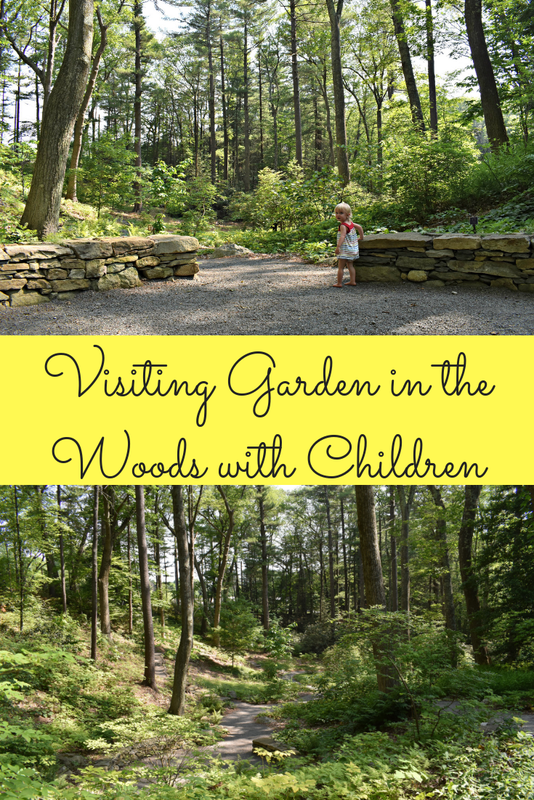 For more information about visiting Garden in the Woods, click here.